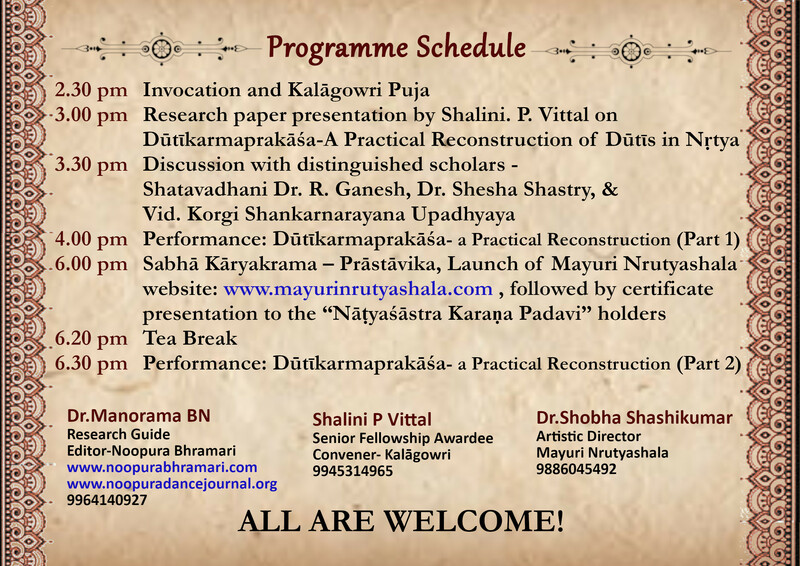 With the onset of #New year -#Yugadi, #Noopurabhramari Foundation ®, #Kalagowri and #Mayuri #Nrutyashala ®* sincerely request your gracious presence for the #Chaitrakalaakalaapa, a celebration of #Art in the month of #Chaitra, #VasantaRutu on the day of #SouraYugadi, the day next to #Ramanavami. 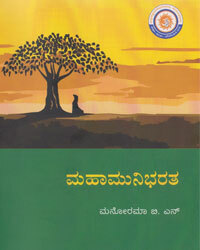 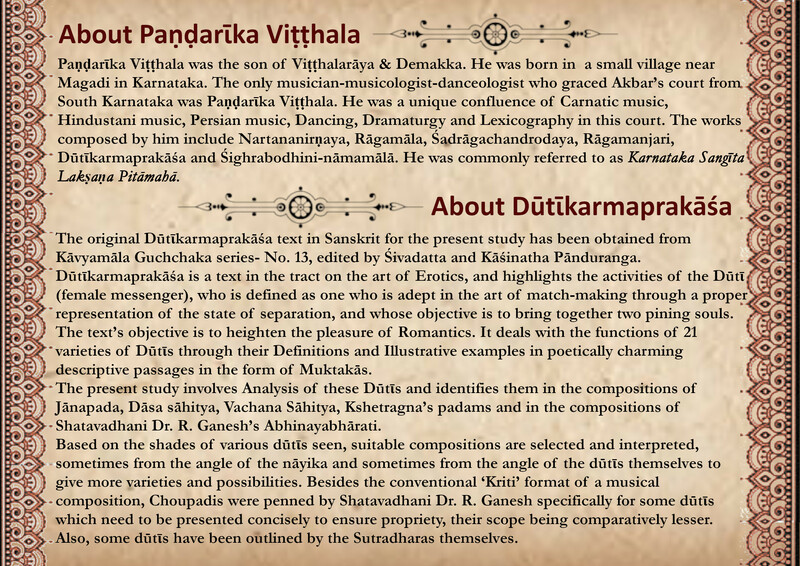 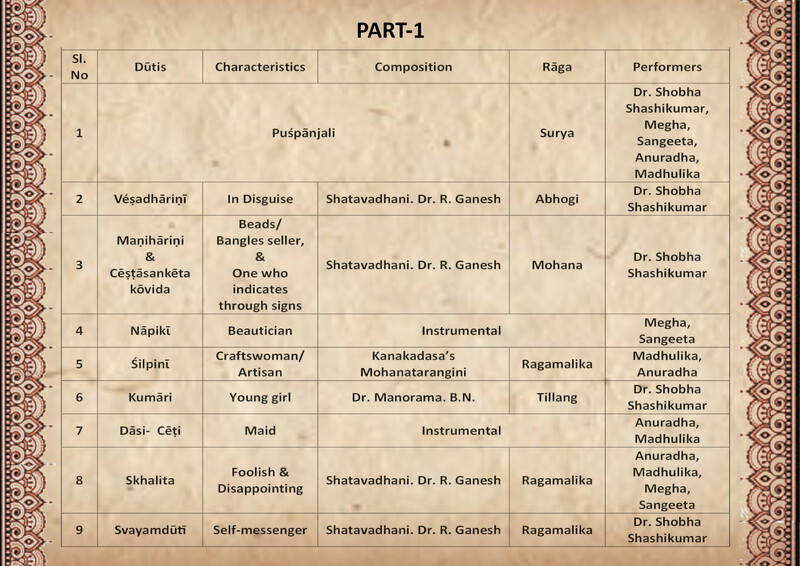 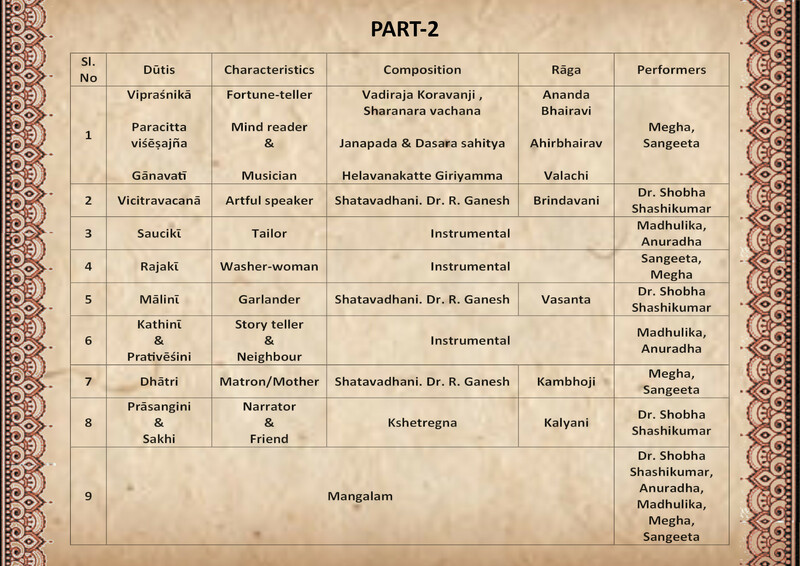 The celebration aims at the Practical #Reconstruction of 21 varieties of Dutis through a #Research based #DanceProduction on the yet unexplored text #Dutikarmaprakasha, authored by Sri #PandarikaVitthala,in the 16th century- highlighting the activities of #Dutis in being #messenger between #Nayika and #Nayaka. 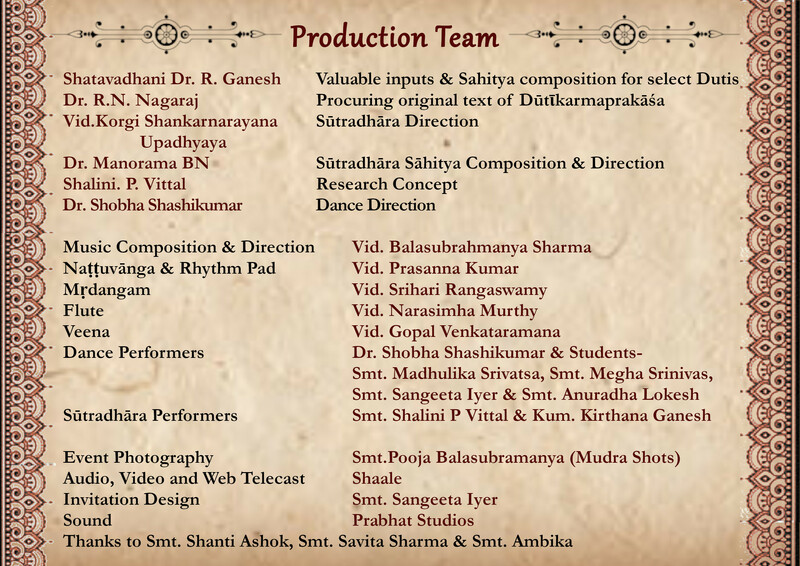 C/o Sri Sai Gowri Apartment, 4th floor, No. 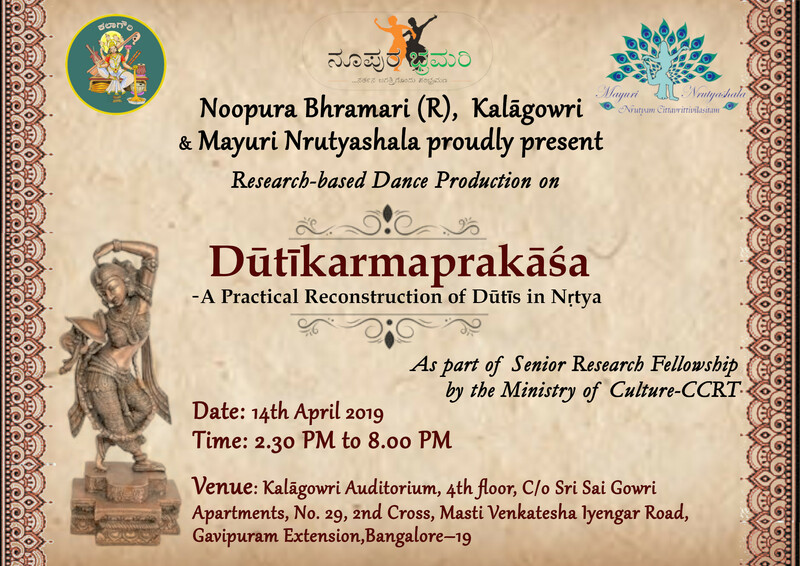 29, 2nd cross, Masti venkatesha Iyengar road, Gavipuram extension, Bengaluru 560019.